Veranda Leisure & Hospitality (VLH) is a Mauritian hotel and leisure company that began as a small family-run business in 1982. Today the group operates seven establishments and two brands, Veranda Resorts for the medium range hotels and Heritage Resorts, a luxury brand. François Eynaud, CEO of VLH Group, imparts us with insight on local tourism market trends. How is Veranda Leisure & Hospitality (VLH) Group positioned within the Mauritius tourism industry? Can you give us an overview of VLH’s financial results for the year 2016? At end-June 2016, VLH declared a profit after tax of $5.6 million. Over the last semester, our revenue has increased in spite of unfavourable forex rates, especially versus the pound sterling. Concerning our occupancy rates over the last semester, they run at 85%, which is well above national hotel average occupancy. What key trends are you now witnessing in the Mauritius tourism industry? Over the last 2 years, tourist arrivals in Mauritius have grown double digits, and growth is now originating both from our traditional European markets (UK, France, Germany), as well as from other emerging markets, and of course from Asia. How does the group plan to innovate its offerings? We are currently working on a pioneering concept on the Domaine De Bel Ombre, in the South of Mauritius, where visitors will be invited to live a unique experience, combining leisure, culture, gastronomy and ultimate luxury. We are also on the forefront in Mauritius regarding “green tourism” thanks to our 1,300 hectares of nature reserve. As opposed to Maldives and Seychelles, who offer mainly beach experiences, Mauritius has much to offer to the Chinese visitors. Can you explain? The leisure offering has increased considerably with a wide selection of activities now available to visitors throughout the island. Another unique aspect of our island is the mix of cultures and traditions originating from Africa, Asia and Europe. In addition to these aspects, Mauritius is now on the forefront with international events such as the AfrAsia Bank Mauritius Open. Can you comment on the “Asia-Africa Air Corridor” agreement with Singapore’s Changi Airport? 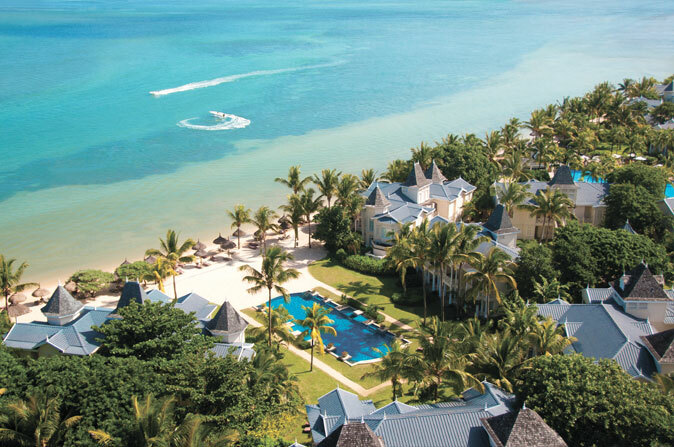 The objective is to use Mauritius as a hub for visitors to Africa and all regional destinations, as well as Singapore connecting to all Asian destinations. The arrival of Air Asia in Mauritius will help provide more flight options to travellers along with the current offering of our national company Air Mauritius. What value can VLH provide for Chinese investors and tourists? Heritage Resorts on the Domaine de Bel Ombre proposes a destination within the Mauritian destination. Chinese visitors will experiment throughout our 2,500 hectares what Mauritius is all about as we deliver the perfect combination of beach, nature, adventure and relaxation. In order to better serve our Chinese guests, we have a Mandarin-speaking sales person at our head office, a dedicated guest relation’s person at our Heritage Le Telfair, and Chinese cuisine available throughout our outlets at Heritage Resorts. What are your key strategies to position your brand as one of the Indian Ocean’s premium destinations? Our strategy is to promote Heritage Le Telfair and Heritage Golf Club on the golf segment, which is growing and represents a real opportunity. Thanks to our exceptional golf offering at Heritage Resorts, we are identified as the “Best Golf destination” within the Indian Ocean (Heritage Golf Club has been awarded 3 times in a row “Best Golf Course Indian Ocean” and Heritage Le Telfair was awarded “Best Golf Hotel Indian Ocean 2016”.) Another segment we are working on throughout both of our brands Heritage and Veranda is the honeymoon and wellness market in Asia and China. How important are Asian travellers to the future of Mauritius’ tourism sector? The Asian market is extremely important, as it is the fastest growing tourism market in the world, with more than $140 billion spent by Chinese tourists in 2016. It is extremely important for us to diversify our markets, to be less dependant on our traditional European and regional markets, and have a better occupancy all year round, since seasonality is different in all these markets.